Bloomfield began his career with non-league Hayes and had a spell with Walthamstow Avenue before joining Brentford in 1952. Over the next two seasons he displayed great promise at the inside-forward position and, after Brentford were relegated in 1954, was sold to Arsenal. Within twelve months he was a first team regular at Highbury and over the next six years scored more than 50 goals for the club, making well over 200 appearances. He was also a member of the London XI which lost to Barcelona in the first Inter-Cities Fairs Cup Final. He was capped twice by England at under-23 level and played for both Football League and FA representative sides. After losing his place at Arsenal he was sold to Birmingham City and spent four seasons with the club. 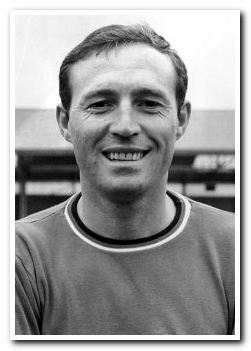 He was again part of the losing side in a Fairs Cup Final, but did help the Blues to beat Aston Villa in the 1963 League Cup Final. After leaving St Andrews he returned to Brentford for just over a year before a short spell with West Ham United preceded a move to Home Park. He was a player of great skill, but past his best when he joined Argyle and left after just a single season when he was offered the position of player-manager at Leyton Orient, where his playing career ended. He also went on to manage Leicester City before a second stint with Orient.